Is the Oilers' young core of Hall, Eberle, and Nugent-Hopkins ready for Prime time? A few years being relegated to the bottom of standings has meant great things for their depth chart and future. The arrival of Taylor Hall and Jordan Eberle last year did not disappoint. Both players had excellent rookie seasons by most standards and showcased their talent. Joined by exciting youngsters Linus Omark and Magnus Paajarvi, the Oilers have a solid nucleus. When you add Ryan Nugent-Hopkins to that, alone with Ales Hemsky and the return of Ryan Smyth, the Oilers have an exciting blend of forwards that deserve some fantasy attention. On defense, Ryan Whitney will look to return from injury and pick up where he left off. Whitney was on a great pace last year and seemed buoyed by his new-found responsibility. In net, the Oilers still have Nikolai Khabibulin, who will be pushed to provide some solid goaltending this year if the Oilers are to compete. Given the level of competition in the Northwest division, the Oilers will stand a chance at claiming second place behind the Canucks, battling with Calgary, Minnesota, or Colorado. Edmonton could acquit themselves well and move up in the standings, but will likely still be out of the playoffs looking in. The Oilers have depth at forward and exciting prospects for the future. When will they bloom? Hall had a solid rookie campaign and improved as the year progressed. Playing a talented, well-rounded game, Hall will be expected to up his production from last year. 60 points are within reach. The talented winger opened the season with a highlight reel goal. While an ankle injury ended his year, he reached expectations and showed signs for the future of much more. This coming season, 60 points are once against within reach and only the beginning of what he is capable of. 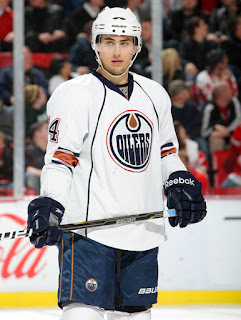 If Taylor Hall is taken, pick Eberle. Hemsky is one of the better playmakers in the league. He teases you with his shot, but he never seems to use it as often as you like. 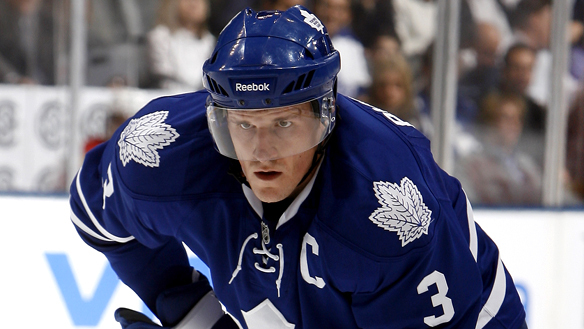 Hemsky also battles with injuries on a yearly basis, but his talent is unquestioned. He will become an excellent complimentary player and linemate for the youth of this team. Gagner’s growth has seemingly stalled in recent years. Remember the hype that he would become a 40 goal scorer? Well, the fourth or fifth season is usually a breakout year for most forwards. We’re willing to bet Gagner will have a career year this season, even if he never realizes the potential once cast upon him. The most unheralded of the young Oilers, Paajarvi acquitted himself well last year. Making the best of his debut, he showed chemistry with Linus Omark. The future is bright for Paajarvi, and he should surpass the 40 point plateau this year. Smyth is back in Edmonton after a few years away. Not the same player he was before, Smyth will be effective in providing leadership, support, and some toughness to create space for the younger forwards. An excellent pick up, but not for his offence. Horcoff is another member of the Oilers’ old guard who will provide leadership and slowly pass the torch to the younger, talented nucleus. Horcoff will be a solid penalty killer and likely pitch in a bit on offense. 40 points would be an accomplishment given all the quality offensive youth surrounding him. He may not be first to receive opportunities as the youth develop. Omark made a splash with his tremendous shootout moves, but also proved he can score. He had chemistry with Magnus Paajarvi and hopes to rekindle that this year. The former Penguin seemed to relish his role as the #1 defenseman. He racked up a lot of points in a short time before serious injury. Whitney will be back and out to prove that last year was no fluke. 50 points are within reach. Gilbert has toyed with fantasy owners, showing some strong capability on offense but never breaking through. 40 points will likely be his best year, but for now be happy with 35. The ‘Bulin Wall’ will be relied upon to provide some steady goaltending and avoid injury, something he has struggled to do at times. This year, he will have a better supporting cast and may be able to post some better numbers. Dubnyk posted some solid numbers and had some memorable individual outings last year, including a great game against Detroit. He’ll likely take on a larger role in the Oilers’ net this year, as Khabibulin advances in age. The talented winger displayed some great skill last year and should see an increase in his production. The 6’2” Swede stayed healthy last year and will evolve into a steady scorer at the NHL level. With size, speed, and skill, Paajarvi could have a top-6 role with the Oilers this year, solid linemates, and a 50-60 point season this year or next. The first overall draft pick from this season’s NHL Entry Draft has a shot at making the team out of training camp. While joining his future teammates in Hall and Eberle, might be a nice appeal, there are thoughts that his size may hold him back a year until he beefs up a bit. That being said, his talent is obvious and he is a no brainer for those in a kepper league looking to rebuild and take a solid prospect. Eberle rose his own stock with a clutch goal at the World Juniors a couple of years ago, some shootout magic, and naturally, a goal of the year candidate in the season opener last year. Blessed with solid skating ability, a great shot and excellent puck handling, Eberle could hit the 30 goal mark this year, and at least 60 points. With more talented line mates and another year under his belt, his production should only increase. Most importantly, this year will be a step in the right direction, but not the final destination. He has potential for much more.